Excerpt from Pastor Stephen King’s upcoming book, Running Away: A Memoir of a Bishop’s Son, to be released in 2013. 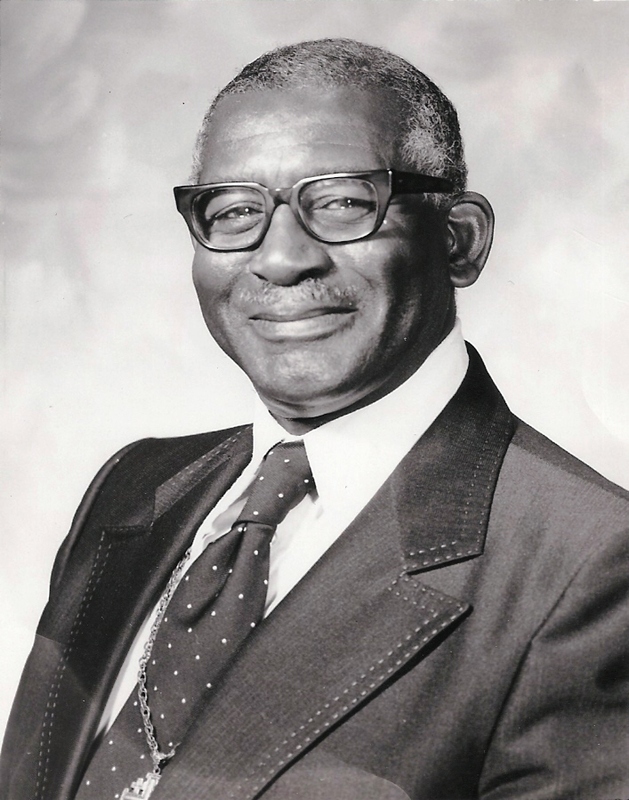 If Bishop Ulysses S. King would have lived, he would have been 106 years old today (b. September 29, 1906). My dreams have no contemporary settings. They always seem to take form and shape in memory from when I was a child growing up in West Oakland where we lived on Tenth Street. It was an old Victorian two-level house that sat between a Baptist Church on the corner and an old eccentric African-American woman’s house who was our neighbor on the opposite side. We lived upstairs and my parents rented the lower floor to help make ends meet. The house was in walking distance of our church on Seventh Street and the schools I attended. Community was very important. We knew our neighbors and our neighbors knew us. It was the complete opposite of what African American communities are like today. I can still remember the peach tree in the back yard that offered its branches to my parents for a good “whooping” whenever I found myself on the wrong side of being a good preacher’s kid. “Go get a switch off the tree,” my father commanded. If the branch was too small I had to go back and find one that fit the punishment. I never understood this mental torture parents took their children through. Today we call it corporal punishment. Back then it was just a good ole fashion “whooping.” Now if there ever was child abuse in our family this would be it. But it really wasn’t abuse at all. It was my salvation. I truly loved my father; and he loved me. 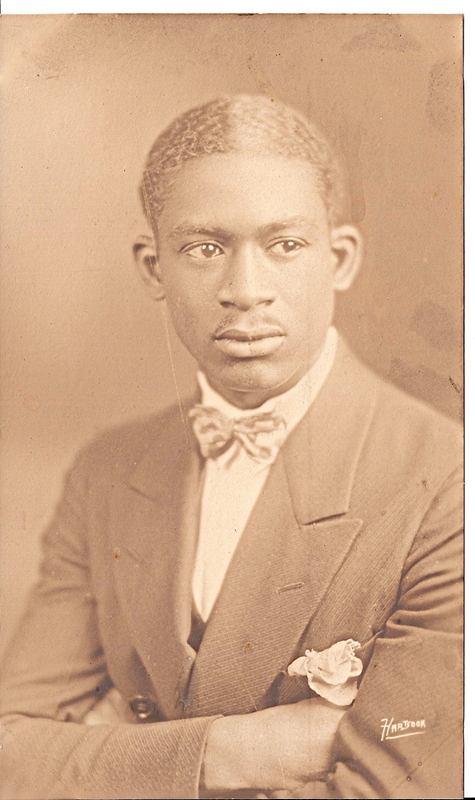 I had a new understanding of what it meant to go home after my father passed away in 1985. I didn’t realize how powerful love could be until, unexpectedly after the death of my mother, he suddenly became seriously ill. He loved my mother so much that he couldn’t bear living without her. His personal physician came to my office on the day of his funeral amazed at how much my father loved my mother. It wasn’t his normal practice to visit with his patient’s family outside of a clinical setting but he said my father was an unusual man. The medication that he prescribed for my father should have removed any pain or discomfort he had been experiencing while he was alive. He told me how my father was deeply depressed and saddened by the death of my mother. He could only surmise that my father didn’t want to live without her. I don’t remember my father ever being seriously sick growing up at home or as an adult. This was a new experience for me. He was always vibrant, strong, and alert. As a matter of fact, I needed energy to keep up with him. Seeing him sick was so foreign to me that it literally frightened me whenever I went to the hospital to visit with him. I didn’t know how to pray or what to ask God. I was confused. What little faith I had seemed useless as I watched my father go through pain and suffering. I was so angry with God that I nearly lost all faith and trust in Him. I wanted to run away literally from all that I had known and now experienced. It seemed too much for me to go on at that time. I had just buried my mother with no time to grieve and now I was facing losing my father. One of the most moving and life-changing moments in my life would be to watch my father speak for the last time at the National Convention in Beaumont, Texas in 1984. It is hard to explain the anticipation of that day. As he was closing his morning address to the convention delegates, he looked out at his friends, colleagues, and family for the very last and final time, and said, “Goodbye.” I don’t think at that moment anyone fully understood what he was saying although I’m sure there may have been a few. “I’m going home now. But home isn’t home anymore. It’s just a house, a place where I live,” he tenderly and passionately said. “Home is where I spent over 40 years of my life with the woman I loved.” I looked around the church sanctuary and there wasn’t a dry eye in the room. I did all I could to hold back my own tears. and ageless. His younger brother once told us that he was very athletic in school during his youth. He loved to tumble, climb ropes, and practice on the still rings in the gym. I tried to imagine him then, lean, fit, and handsome. He could sing, play the banjo, and piano. I can see how any woman would be attracted to him. When he and his younger brother, Saunders, were young men they would stand on the street corner near the church before service to have “street meeting.” Saunders played his guitar and my dad his banjo. People would gather around to hear them sing and preach and like piped pipers they followed them into church. Everyone in our community knew “Reverend King.” Dad greeted everyone with that huge smile that made you feel you were his best friend. He seemed to know everyone by name, or at least we thought he did. My mother would scold him about talking to strangers and to people he didn’t know. However, whenever my dad thought he knew someone he was going to greet and talk to them. If he didn’t know you, and by the time he finished talking with you, he got your name, where you lived or where you were from, and something about your family. I would always marvel at his ability to win over people. Something has changed now. There was always a dance in his step when he walked, but not today. His body was weak and frail from his deep personal lost of his beloved wife. Each step now was calculated and measured as he walked towards me on his walker. He had great upper body strength as a teen pulling himself up and swinging on the still rings in the gym, but now he was balancing his steps on the handles of a walker. He had succumbed to sickness and cancer, which had begun to manifest itself. After he reached the place where we were sitting I firmly held his walker straight to keep him from falling as he sat down. He looked up at me and smiled and I smiled back. “Powerful words, dad,” I said. The congregation was standing now, clapping and praising God. This was their leader, their bishop. In our minds there has never been anyone like him nor will there ever be, again. My father had a relationship with God that I could only dream of having. He was a man of faith and prayer. He would counsel young ministers, “Don’t preach to me about faith unless you were willing to live it!” And he meant every word he said. He taught, preached, and lived by faith. He supported his family on a substandard, unlivable wage. To this day I don’t know how he kept food on the table for seven people on $50 a week. We were never on welfare, and we always had food on our table. We were never hungry. They knew how to stretch a meal and make it work. Whenever we left the table we were full. He was a humble and giving man who always thought of others. Mom would always tell him, “You will never be rich because you give away everything you receive.” He often would leave offerings received for him behind with the church where he ministered. He didn’t believe in taking anything away from a struggling congregation in need. But then he would have to call one of the deacons of his church to send money for train or bus fare because he didn’t have enough money to get home. He believed and trusted God to make away out of no way—and God did. I recall coming home one day after work and found him sitting at the table alone in the dining room. No one was home. The curtains were drawn closed to keep the evening setting sun’s rays from coming in. When I walked in I felt a presence in the house like walking into church during a Spirit-filled praise and worship service. I could feel the presence of the Lord in the dining room of our home. I noticed my father sitting at the table alone with one hand under his chin and his elbow on the table to prop his head up. His eyes were closed and I could see he was in deep meditation. I didn’t disturb him. There was something different about him. I waited for him to speak before I said anything to him. There was a glow around his head and his face looked like it was shining. He knew I was there. I sat at the opposite end of the table in fear and reverence. I knew he was praying but how deep was his prayers? What was he thinking? What was God saying to him? I wanted to listen in but I was not invited. It seemed like an hour but it was only minutes before he spoke to me. He opened his eyes and looked across the table where I was sitting and said, “How wonderful it is to walk with the Lord.” His voice filled the house without shouting. I was looking for him to be suddenly transfigured like Jesus on mountain. I envied him. I never had an experience like the one he had on this day. I wanted so badly to enter the place where he had been at that moment. We never spoke of it and I never asked him what he felt on that day or what it was like? It was a private and personal experience between him and his God. I regret, however, never having asked him what it was like to walk in the presence of the Lord. But now looking back maybe God was showing him the way home. The quote is attributed to Gaius Plinius Secundas – Pliny the Elder – (AD 23 – August 24, AD 79), Como, Italy. A reference to Lewis Carroll’s literary work, Through the Looking-Glass, and What Alice Found There (1871). Terry Tempest Williams, is an American author, conservationist and activist. Williams’ writing is rooted in the American West and has been significantly influenced by the arid landscape of her native Utah in which she was raised. Mrs. Tryphosa King passed away November 10, 1983 in the arms of her husband, Bishop Ulysses King, Sr., at Providence Hospital in Oakland, CA.